Spencer you completely forgot about Plaza Premium program. Covers Plaza Premium that are not part of priority pass. Passing through HKG later this year, which is better Plaza Premium or AMEX Centurion? Great recap. In the Lufthansa section, though, you mention “Swiss Air”. This airline went out of business in 2001. The airline you’re referring to is simply called “Swiss”. No Air. An Eacape Lounge is being built at Ontario International (ONT). Scheduled to open in the fall, but based on what I saw this last weekend, I’d say Winter is more accurate. I tried both in HKG last November. Definitely the Centurion. Less crowded and frankly the Plaza Premium was nothing special. Felt like a cave, tons of people, cheap beer and a not so appetizing dish of noodles. Centurion is the way to go, don’t even waste your time. Top shelf drinks, way better food, TV’s with American sports (i’m American so I really enjoyed watching the NLDS in the lounge) and open air with tons of natural light. @Jason : if you wanna be trolling like that, at least get the facts right. The full name is “Swiss International Air Lines”, while “Swiss” is just a branding abbreviation for marketing purposes. are you one of those weirdo trolls who also insist on spelling “Delta Air Lines” ??? The Escape lounge at Oakland it a great haven in an unremarkable airport. I travel a lot with my wife and 2 grandkids on various adventures (SW companion passes and a lot of SW points = lots of free flights) So far they have let all 4 of us in, since the youngest is only 3, and they haven’t been crowded when I have gone, but I see that ending soon. And for the “no kids in the lounge” crowd. the grandkids are better behaved than some of the adults. @John Seto I have used both quite often and Centurion is absolutely much better but Plaza Premium is better than most standard lounges. Actually, Centurion’s catering is served by Plaza Premium staff. My friend said Centurion is a much better lounge than United Club and his immediate family members works for United. @Leo – Thanks for flagging the Gogo bit. @Jason – I realize that “Swissair” went under. Guess I tend to refer to it as “Swiss Air” to avoid confusion so my friends don’t think I mean the Swiss people. I’m reading this from the Centurion Lounge at LGA. Unless there’s been a change in the last 6 months, it gets you (no guest) into the eurostar lounges. CLs have become so crowded and are complete zoos. You’re better off in the terminal on most days. 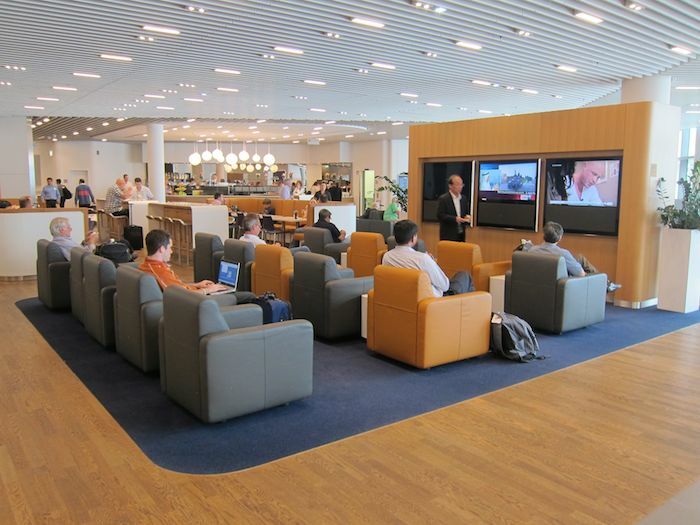 Admirals Clubs remain large enough to handle the crowds (for the most part). I’d also say the same for DLs clubs. FYI Asiana Club silver is their base no status level……I think you meant Asiana Gold (which is Star Silver). @Laurel – Haha, I did. Had Star Silver on my mind. You declaration that “the Centurion Lounge at HKG just might have the best bar in the airport” makes me think that you’ve never been to the Pier first class bar at HKG. It’s my personal favorite of any airport bar that I’ve been to. hello. id like to add that if you have another amex card that is tied to the same account as the amex platinum, show that and they will let you in too. that happened to me in the las vegas centurion lounge. anyways great post! i cant believe how many lounges i have access to, but i love it. Everyone told me how great Amex platinum customer service is. For me it’s been quite the contrary. I’ve had the card one month and just added authorized users. They sent the authorized user cards to the wrong address 3 times. No exaggerating. Misspelled the names of both authorized users. When the cards finally arrived to the right address. They sent me Gold cards rather than the Platinum cards I requested over and over again. Don’t be in the situation where you’ll need to replace your platinum card if you’re on the road. You will never get it. Their agents are not trained to listen carefully to the customer. Shame shame shame on them. Never had issues with Citi Prestige. Spencer, quite a few of the most interesting AMEX Platinum perks are only for cards emitted in the US. It would be interesting to see an article that compares perks between the US cards and a few other countries. Thanks! Aren’t there American Express lounges, not branded as “Centurion”, that you would also have access to? @Spencer, I was in the Turkish lounge as IAD the other day and I thought it was… fine. You’re not the first person to sing its praises. What am I missing? Seriously, I’m curious because I was a bit underwhelmed after the hype I’d heard. @AD The TK lounge at IAD has decent food. It’s just not that big so can get overcrowded. I usually camp out at the upstairs level as they have a big communal table and I just grab a seat there. Wow it’s such a good deal on the card for you guys, I can’t believe why you wouldn’t all get it. By comparison we pay £450 ($600) and get precisely zero annual (or 4-yearly!) credits! Also no spending bonus on anything, just 1 MR per GBP! Doesn’t the Amex Platinim come with a Hertz Gold membership or something? @Jim, thanks! The upstairs seemed to be closed when I was there even though it was quite crowded. I saw the stairs but curtain was pulled partly across. I was just about the get on the Virgin America flight to SFO in F and didn’t eat. So, maybe those things would have tipped the balance for me. Next time I’ll venture upstairs and try the food. 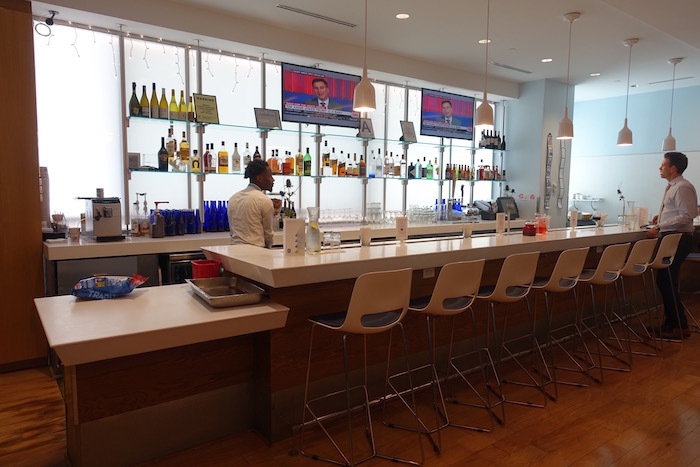 I used to use the Air France lounge on the rare occasions I was at IAD which was also crowded but that is now closed to priority pass in the late afternoons. I would have already had this card if you got Delta lounge access for 2 instead of 1. 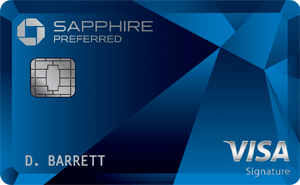 “Sure, you can get a Priority Pass Select membership if you have the Chase Sapphire Reserve® — the card of millennials” I’m not a millennial but find the CSR a much better card (I actually currently have both but will be getting rid of the plat). The plat only works better for a specific subset of people. @John Seto The centurion lounge in HKG is ok but small out of those two choices its the better one. I pretty much always have access to CX lounges when in HKG and the centurion lounge doesn’t come close to touching them.